The great thing about having cyclists on your list is that they always need (or want) more stuff. There is always something out there that will greatly enhance this all-consuming pastime we call riding bikes. The ever-helpful elves over at Cycle Oregon HQ put their pointy little hats together and came up with a few ideas. Oregami Luggage: Some riders say that the hardest part of the Classic is the hills. Others insist that it’s fitting a weeks worth of gear in one enormous, awkward bag. 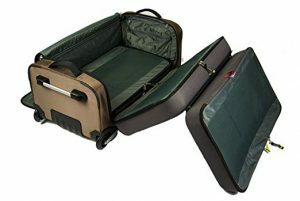 Packing is an art form and the CO riders who invented Oregami luggage have mastered it. These bags hold a ton of stuff and have ample compartments and pockets to keep it all organized. Check them out HERE. 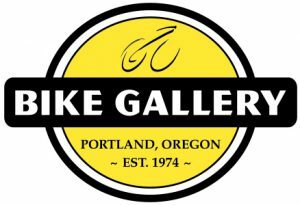 Bike Gallery: Not only does Bike Gallery have bikes and everything you could possibly need for a bike, they also have incredible people who work on bikes. So what better gift for a cyclist than a spa day for their trusty two wheeled companion? Let the techs at BG detail that bike and get it back to its owner cleaned, lubed and dialed in to spec. Schedule a tune-up HERE. 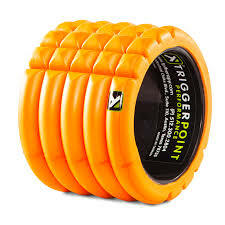 Foam roller: Time in the saddle often comes with sore muscles and an assortments of aches and pains. And for that, a foam roller is just what the doctor ordered. Side note: if it hurts, that means you’re doing it right. Here’s two choices – AT HOME or TRAVEL SIZED. 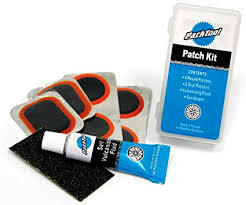 Park Vulcanizing Patch Kit: This one goes in the category of “extremely thoughtful stocking stuffer”. Flats happen and if you don’t have the means to fix it, you could be in for a long walk home. Pick up a whole bunch of them HERE. 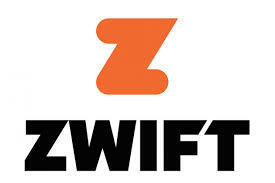 Zwift membership: Zwift is what would happen if a Xbox had a baby with your bike trainer. You can virtually ride world class routes and become part of a team all while literally getting a great workout. It’s riding a stationary bike, only fun. And a one month membership will only set you back $15. Check it out HERE. 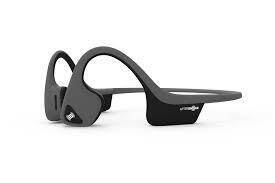 Aftershokz Trekz Air: Riding with music is great and all but it’s just not that safe. You need to be able to hear what’s going on around you and traditional headphones get in the way. These futuristic headphones have come up with a pretty cool work around. They send the soundwaves into your head via “bone conduction technology”. Your ears are left wide open without sacrificing any of the sound quality. Oh, and they are reflective – because safety. You can find them HERE.